Week 2 of ROW80 (Round 3) has ended and today I wanted to mention the importance of getting feedback on your WIP. Because writing your novels in a vacuum can only take you so far, there is always a time when you need beta readers in order to make some progress. “What are beta readers?” you may ask. So, I’ll admit it, sending off your Precious Manuscript to beta readers can be scary. No one wants to hear their writing is dreadful and their WIP should be revised from start to finish. But you need to take that plunge in order to know what your WIP is really worth and to make the appropriate corrections BEFORE you send your Masterpiece to a dozen agents. Indeed, it is essential to query agents with a manuscript that is in the best possible form in order to maximize your chances of success. If you follow US literary agent Sara Megibow’s #10queriesin10tweets on Twitter, you’ll notice that she receives 200 submissions A DAY. And out of those, she often comments that the writing is “poor” or “weak” or “unclear”. 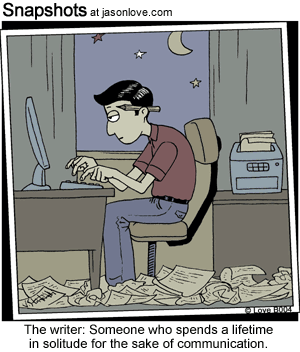 You don’t want to be one of those writers, do you? So to avoid such rejection, you need to find beta readers who will critique your query/novel/short story. They will find writing issues and they will tell you about it so you can fix them. Now, how to choose your beta readers? Even if I’m going against the flow here, I’ll say start with your family and friends. Often, you’re told not to do this because you need critique, not praise, and your relatives tend to just tell you that you are the next big thing. Or they laugh at you. However I have found that getting some of my friends and family members to read my WIP is worth it. Firstly they are all non-writers and they are readers of published YA novels, so it is interesting for me to get their reactions on my own YA novels. One of the earliest comments I got from one of these beta readers was that my WIP was “like a real book.” It was very encouraging for me to hear that my novel could be compared to published YA books. These non-writer beta readers will tell you if your WIP is boring or impossible to understand, if they liked your characters and if they enjoyed reading your story. That’s the first step. Then you need to find beta readers who are writers themselves. These beta readers are valuable because they will spot writing issues more easily. They will tell you about spelling and grammar errors, about plot issues etc. You can find these beta readers through a writing group, an online community or via your social media platform. This feedback may or may not be what you want to hear? But if you listen to what your beta readers have to say, you’ll improve your chances of getting published. 1- Write everyday: 5/7 days. This week I wrote every day except for Tuesday and Saturday. A special thanks to Lauren Garafalo for leading ROW80 sprints on Twitter, they really help! 2- Self-edit The Last Queen: done. A little bit. 3- Continue writing the first draft of The Cursed King: not done. Instead I wrote a short story. – find out how NOT to start your novel or how hook your reader from the first paragraph. – read an exclusive interview with YA author Kendare Blake about her writing and how she got her best-selling ghost story Anna Dressed In Blood published. Here is the Linky for the other check-in posts. How are you other ROW80 writers doing? This entry was posted in A Round of Words in 80 Days and tagged A Round of Words in 80 Days, About writing, beta reader, beta readers, EM Castellan, getting published, proof reader, ROW80, writing. Thanks for stopping by Shah! I have found that having beta readers who don’t usually read the genre my novel belongs to can also be interesting. They have a fresh look at the MS. Very true – and love the quote on that comic! Good beta readers are golden! I’m very lucky to have mine. Most of mine are other writers (who are also my readers), but sometimes I use one who has expertise in a novel’s subject matter. For instance, my upcoming novel is set on an Air Force base, so I got a friend who’s retired from the USAF to read it. Hopefully he’ll catch any mistakes I’ve made regarding the military life. Good job on the goals – keep up the good work! A “specialist” beta reader is always handy! Thanks for commenting Jennette! I suggest places like http://www.ladieswhocritique.com/ and http://falling4fiction.blogspot.com/ to find betas and CPs … We’re planning to have beta and CP’s connections through NA Alley too, but I don’t know when that will happen. Good job on your goals too! Thanks for the links Juliana! I chose not to include a list of possible places to find beta readers in my post because I assumed each writer’s needs are different. But Falling 4 Fiction and Ladies Who Critique are excellent places to start, I agree. The idea of someone reading anything I have written is terrifying but I agree, completely necessary!!! Glad the sprints are helping you reach your goals and hope you have a great week!!! Very true. Thanks for stopping by! Thanks for the info about beta readers. Very useful. I have a writing workshop group (though it’s died down a little in the last few months, and I’m nowhere near having a finished draft anyway) but it is a great way to see what works in your story and what needs improvement. Writing groups can be awesome if you find one that’s right for you. Good luck with your WIP! This is a really great point which is worth sharing. There is so much emphasis on editing, ‘consumer testing’ is often overlooked. I hope you are doing well with your ROW80 goals. Thanks for stopping by, Cate! Getting feedback definitely makes editing easier. Both are equally important.